Still, small beans in a game that is otherwise so elegantly put together. Starships isn't Civ, but it is Sid, and that's fine by me. Get a cardboard box, paint it silver, sit in it and pretend you're Kirk. There, we just saved you some cash. Sid Meier's Starships produces a few good tactical battles before its AI loses steam and its strategy gets frustrating. Fast-paced and accessible are not words commonly used to describe turn-based strategy games, but Sid Meier's latest is a fun, breezy strategic time killer. 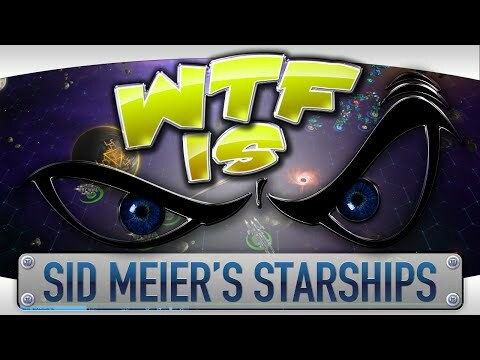 Sid Meier's Starships stretches a thin premise over barebones gameplay systems. Sid Meier's Starships is a short and sweet companion game to Civilization: Beyond Earth that doesn't overstay its welcome. Without many options for game setup and a multiplayer mode, Starships is limited in scope, but its ship-focused combat and breezy progression has a broad appeal that fits well for both PC and iOS platforms. Ultimately, the game left me wishing there was more to it. The way that ships, planets and research all simply accrue numbers in various areas rather than opening up new avenues to understand, explore and exploit makes Starships seem like a game set at the end of humankind's ambition rather than the beginning of a brave new age. All and all, Sid Meier's Starships on the PC turns out to be a mixed bag of mostly sour elements. It's a nice distraction and even a good bit of fun depending on how much you enjoy space combat titles, but only if you go in knowing full well that this is a port a mobile game, absent of much the charm and detail we've come to expect from Sid Meier titles. In concept, this game is a fantastic way to build upon the fledgling Beyond Earth legacy, but in function, this game feels like a cheaper version of another Sid Meier's Starships that was never actually made. Less an endless voyage through the stars, and more a space-bus journey to the shops. If you're intimidated by Civilization this is an reasonable starting place for the 4X genre, but it's not for those seeking a deep or lengthy experience. [T]here is no question Sid Meier's Starships should have been much better. Sid Meier's Starships provides a simplified, portable gameplay snippet of the series turn-based gameplay that ultimately makes it a difficult recommend for Civilization fans. While the game was clearly designed for a tablet, there is still some entertainment to be found in brief gameplay sessions. Yet, it's impossible not to take into account there are far superior strategy games on PC that make Starships an even less-desiring title to play. Sid Meier's Starships lacks the strategic depth of Civilization, but the added tactical layer, and shorter game times make it a fair substitute, especially if you're looking for bite-sized strategy. For those looking for something different from the standard "Civ" experience, or something that's an even larger departure than "Beyond Earth" was, this may just be the scratch for said itch. Fun, quick and light strategy game, Starships is a great introduction to strategic gameplay or for those who don't have time for a longer experience. On its own, it feels shallow and lacks extensive replay value. Not suited to PC, I think Starships will do best on mobile. Cranking up the difficulty in Starships and thereby eliminating the margin for error can address shortcomings of the tactical mode, but the strategic mode will always remain simple. Hence the feeling that Starships is more like a mini-game than a fully-fledged title, an observation held up by the game's low asking price of $15.